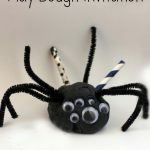 Last year, we did this easy Rocket Paper Tube Craft for the 31 Days of ABC which was really great for our mixed age group – but since I did this craft with just my 6 year old, we catered it more to her interests. 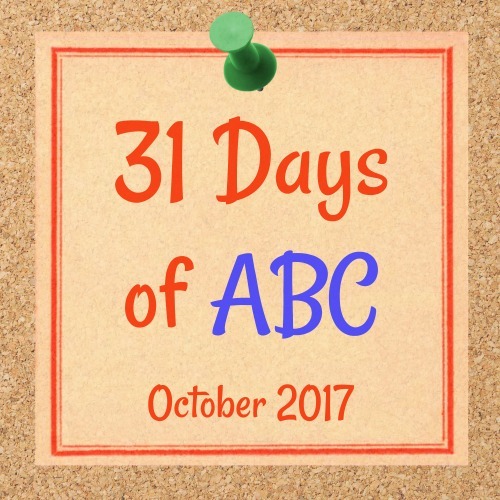 You could use this basic craft idea to make a cowboy or cowgirl hat, a sombrero craft, a fedora, or an Aussie-style outback hat. 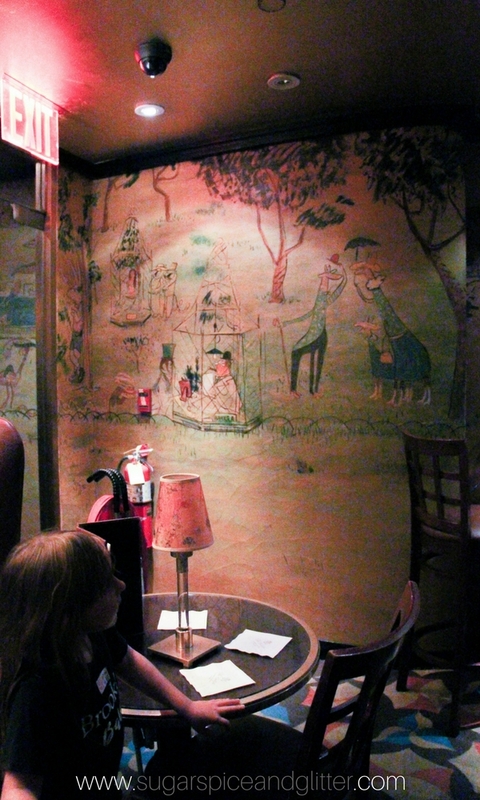 This past summer during our trip to NYC, we visited the legendary Bemelemans’ Bar at the Carlyle Hotel which has beautiful murals all over the walls painted by Ludwig Bemelmans – the author of the Madeline series. He was actually a waiter for many years before writing the classic series, so it was an interesting juxtaposition – seeing these characters from our beloved children’s stories all over the walls in a clandestine, dark bar full of grown-ups. I would describe it as almost surreal rather than the whimsical experience I was expecting – but I am definitely adding it to our must-do list of NYC Restaurants. But, back to the craft. This hat was a great morning craft for us. I had the materials laid out before Ella woke up and she got started while I scrambled up some eggs. 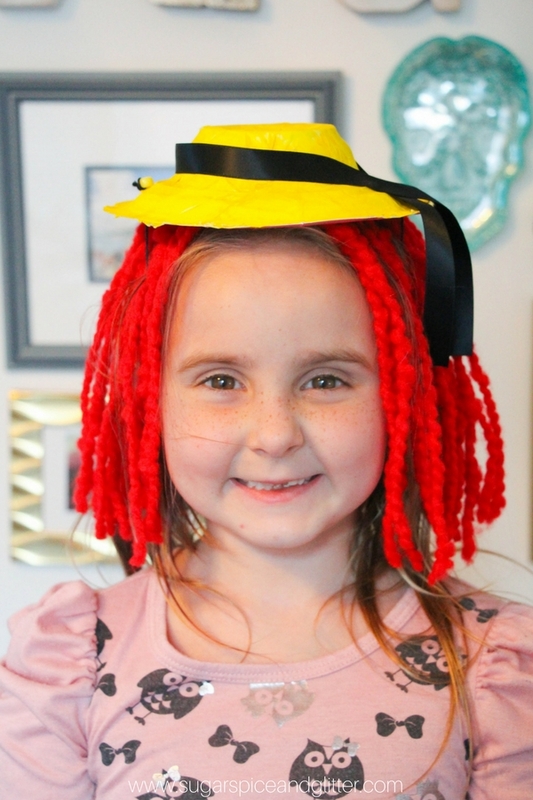 She ate and got dressed as the glue dried, and then we were able to put the finishing touches on it before she left for school and then she was able to try it on when she got home. 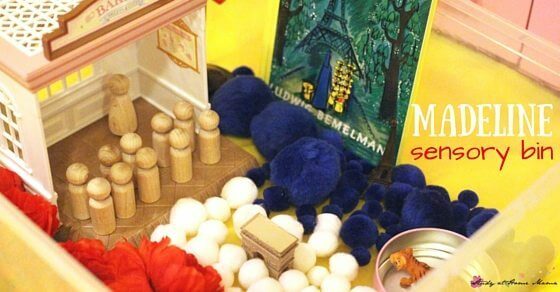 Alternatively, you could read the book while the paint or glue is drying, or split this craft over a couple of days. 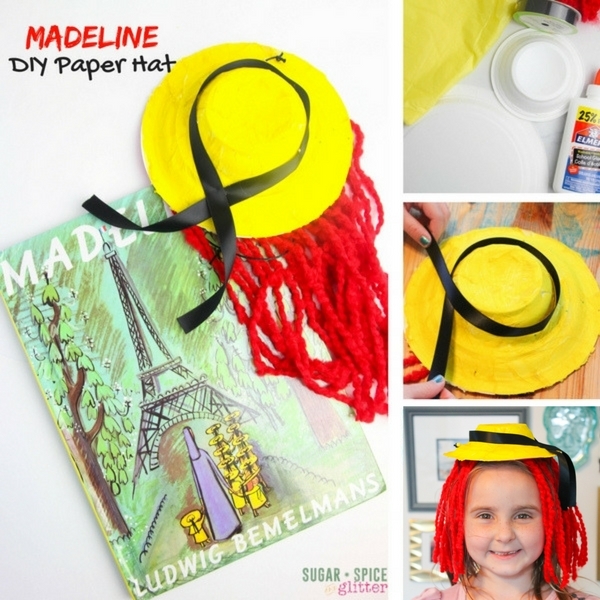 While we stuck to a quite literal interpretation of Madeline’s Hat, kids could add special drawings, words, or embellishments to personalize their Madeline hat. 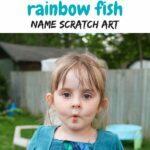 If you were making these for a party or playdate, you could write the kids’ names along the brim a la these trendy sunhats for adults. 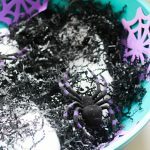 Tip: because I wanted to use materials we already had on hand (and avoid a trip to the store) we had to add an extra step to “painting” our plastic bowls that you can avoid if you use paper bowls. 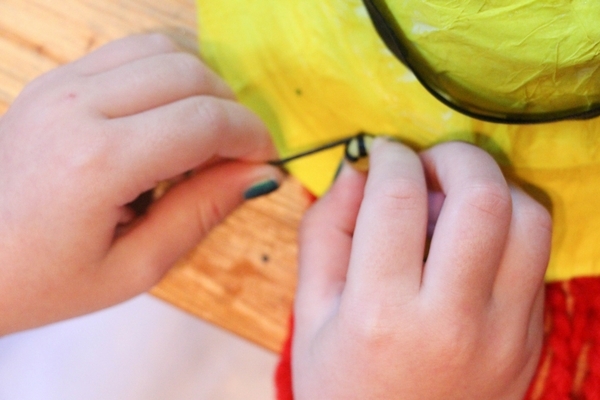 Since kids’ paints won’t adhere to plastic, we glued down yellow tissue paper as a sort-of “paper mâche” base. You can then leave this as-is or paint more yellow on top of it after it dries. 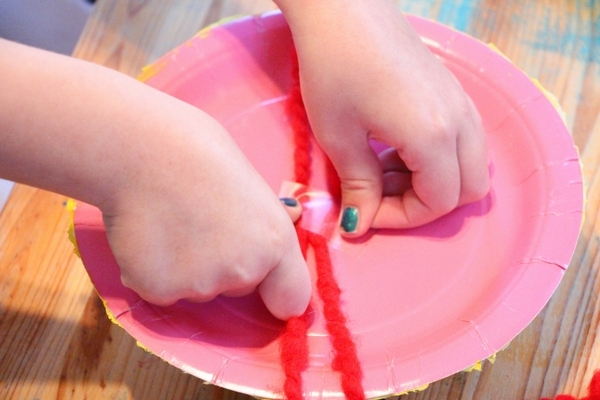 Glue your paper bowl to the center underside of the paper plate. *If using plastic bowls or plates, cut your yellow tissue paper into squares. Use the glue to “paint” all over your hat and then press down the tissue paper overtop. We did two layers for more coverage. 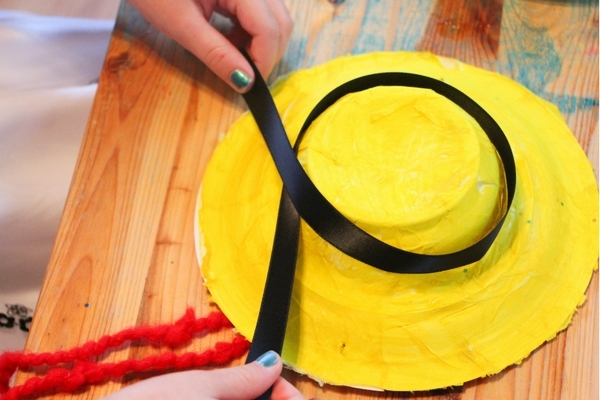 When the glue is dry, paint the hat all over with a bright yellow paint and let dry. Meanwhile, cut your red yarn into shoulder-length strips, or double shoulder-length strips depending on how you want to attach your yarn to your hat once it dries. When the paint is dry, tie your blue (or black) ribbon around the base of the bowl into a bow. You can glue this in place, if desired. Next, turn the plate upside down and tape the yarn into place for the hair. If you cut double shoulder-length strips, you can tape it lengthwise across the plate, if you cut shoulder-length strips you can tape them around 3/4 of the edge of the plate. Trim the yarn hair to an even length if it’s not already. And you’re done! 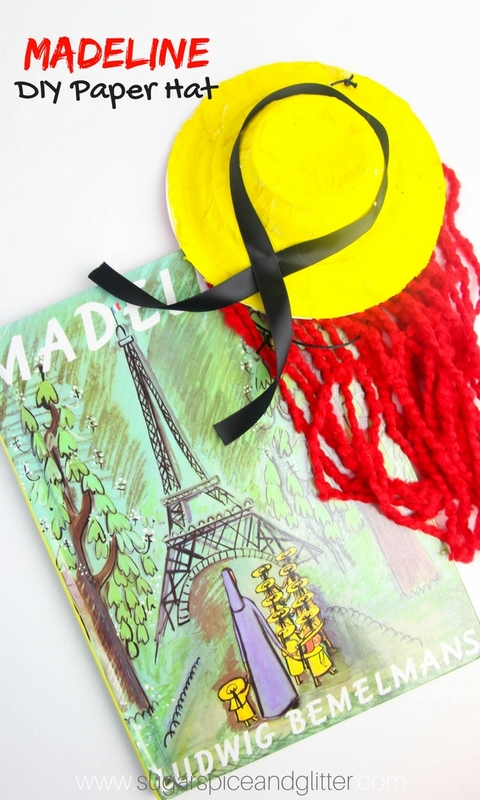 Pop that Madeline hat on your head and practice your best Parisian accent. 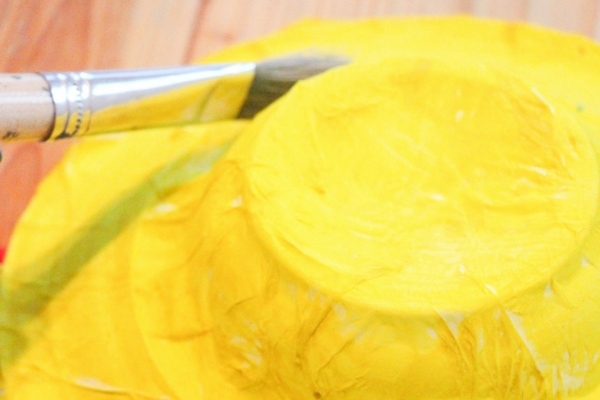 *If using plastic bowls or plates, cut your yellow tissue paper into squares. Use the glue to "paint" all over your hat and then press down the tissue paper overtop. We did two layers for more coverage. When the paint is dry, tie your blue ribbon around the base of the bowl into a bow. You can glue this in place, if desired. 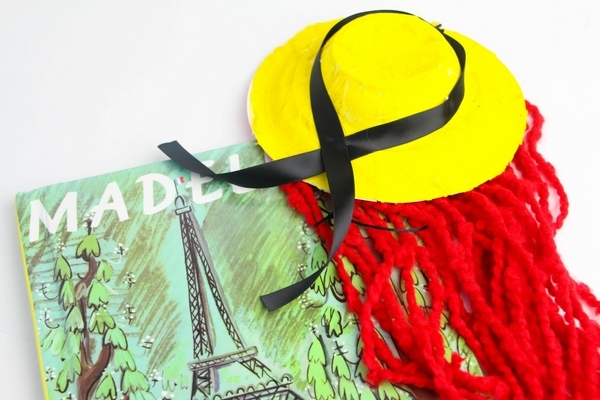 Place the hat on your child's head and measure the length of ribbon you want to use for a chip strap. Poke a small hole on each side of the hat brim, just above where their ears are and thread the ribbon through, tying securely. 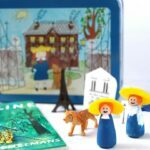 If you don’t already have the classic Madeline story in your collection, grab it here. 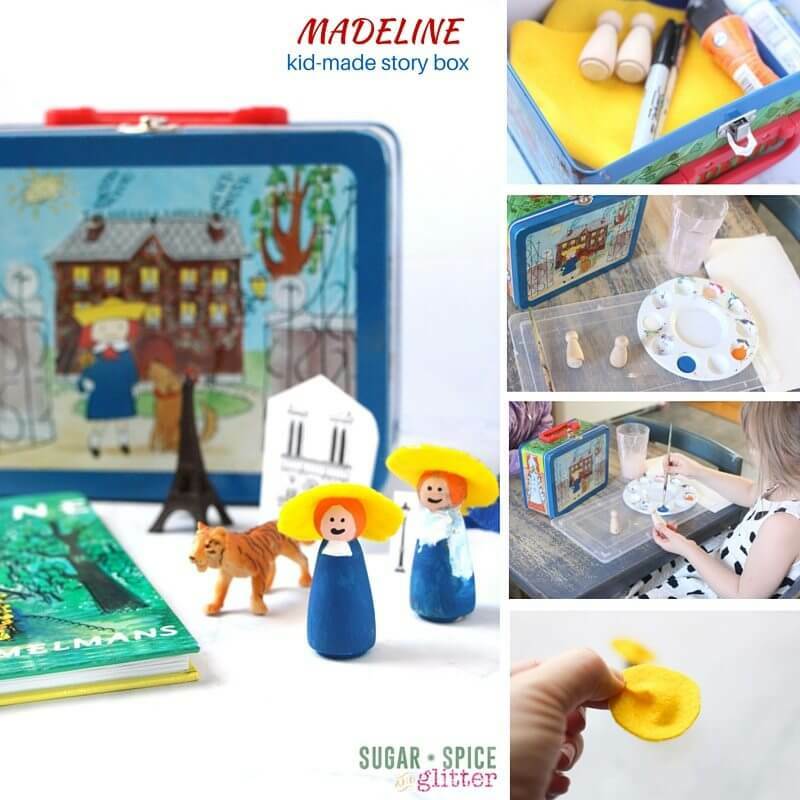 For more fun Madeline crafts, check out our Madeline Story Box with homemade peg dolls or our Madeline Sensory Bin.